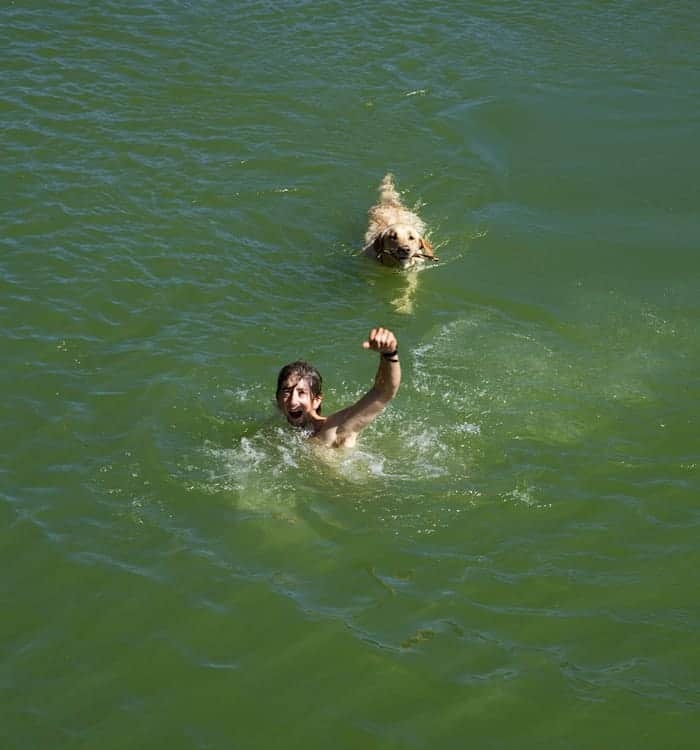 We all know how fun it is to free-fall into a pool of water. That short moment of succumbing to gravity and feeling weightless is liberating, to say the least. 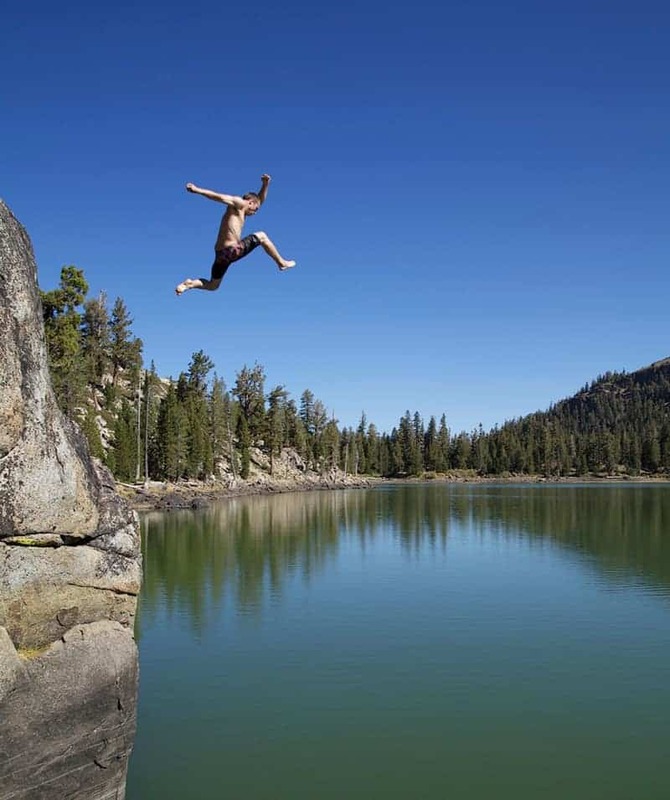 There are, however, a few key points to keep in mind when cliff-jumping. A drop doesn’t have to be over twenty feet tall to necessitate basic guidelines – even a five foot rock-drop-gone-wrong can pose serious ramifications. Please leap safely, no matter the level of gnar. Here are a few tricks and tips to help boost your safety, confidence, and naturally, your stoke-factor. Do: Always scout your landing. Use whatever means are available. Examples include, but should never be limited to, fishing line w/ weights; avalanche probe or tent pole at least the depth of your predicted submersion; take a big breath of air and a deep dive to physically inspect your landing zone – This is one of the only times being upside down and frantically flailing your arms is appropriate. For some, this may be the most liberating part of the whole experience. Do: Always jump as far out and away from the rock as possible, unless you’re aiming for a particular hole and over-shooting could cause serious damage to life or limb. Do: Scream as loud as you can all the way from take-off to landing. Call out to any potential onlookers so they don’t miss the awesome show you’re about to provide. This could include sunbathers, passing hikers, or the guy fishing on the other side of the lake. 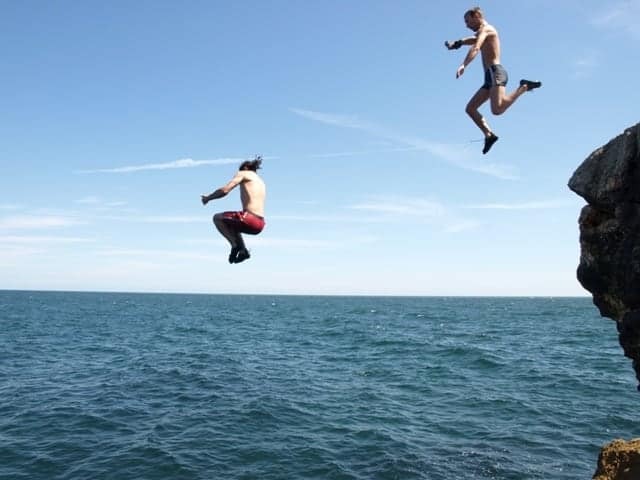 Do: Be sure to claim a good jump with a solid fist-pump and a shouts of joy upon re-surfacing. Do: If jump height exceeds roughly 25 feet, be sure to point your toes downward prior to impact. The last thing you want is your feet to rebound off the water’s surface and force your knees toward your chin. A friend of mine once broke his jaw and two ribs this way. 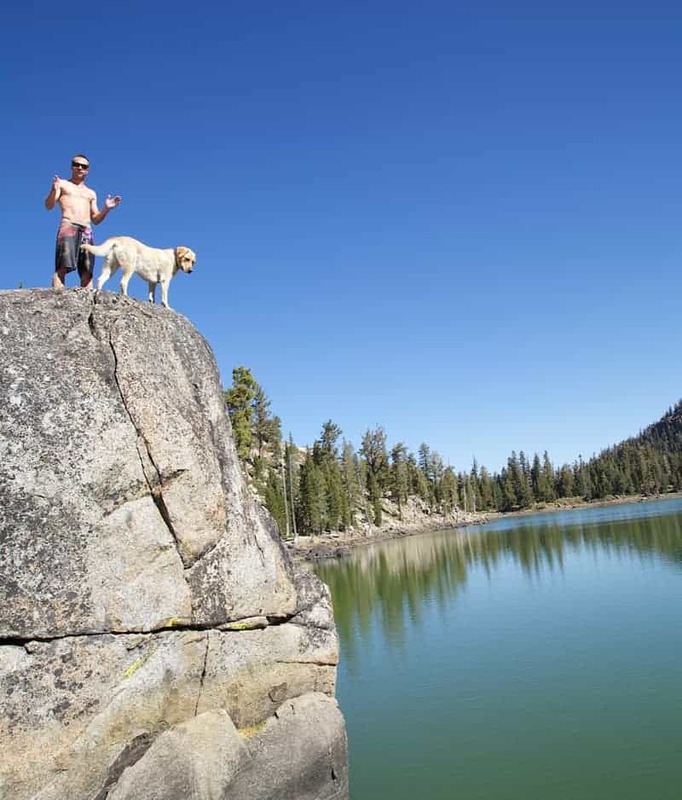 Do: Depending on the rocks that line the shore and the climb out of the swimming hole, you may want to wear foot protection. Think practically: rocks are usually sharp. Wear the shoes you’ve been hiking in, as long as they will dry fast enough to prevent blistering throughout the rest of the day, or pack a pair of sandals that you can leave at the water’s edge. If the trek to your jump-zone isn’t too extensive you may think of hiking in sandals with straps, made by companies like Chaco. Water at swimming holes is usually colder than most places, due to snow melt, lack of sun, or stagnant water. According to my high school chemistry teacher, running water is warmer than stagnant water. You may also consider packing a towel and leaving it next to your shoes/sandals so you can warm up as soon as you exit the water. Beach towels can be heavy on a hike, especially when water-logged, but a camp towel packs down to a small and manageable size, and dries at an incredible rate. Don’t: Disregard warning signs. If a sign is posted, someone’s probably been injured doing what you’re about to do. Don’t: Dive head-first until you’ve already gone feet-first or know for a fact that you won’t break your neck on a rock or the bottom. Don’t: Follow your friend off the rock. Nine times out of ten you may calculate your distance and timing impeccably. It’s that other ten percent you need to consider. Don’t: Try to do a gainer unless you know you can do a backflip. This will ultimately lead to pain in either your head, back, or ego. Most likely all of the above.